Primrose manufacturers confections to the highest quality standards using both old world candy making techniques and state of the art equipment in its 130,000 square foot facility. Over 80% of the business is derived from private label and contract manufacturing. Thus, Primrose not only has to meet its own high standards, but also the scrutiny of those who put their name on their products. In addition to candy, Primrose is also making private label nutraceuticals, manufacturing candy base, and adding various active ingredients. Established in 1972 on Chicago’s northwest side, Bel-Mar Wire Products is a proven leader in the custom display manufacturing sector. 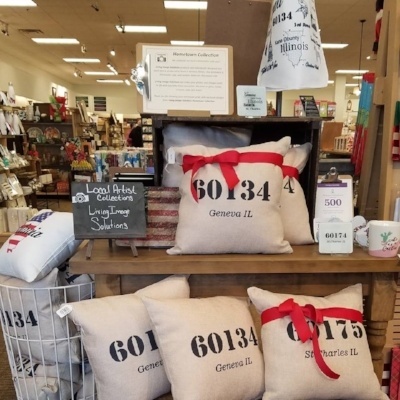 The company serves a wide-range of diverse industries including commercial, retail, food & beverage, snacks & confections, souvenir & gift, tools & hardware, and healthcare. Their diverse background makes them a one-stop-shop for any display-related needs ensuring high quality craftsmanship with the utmost precision and attention to each detail delivering unsurpassed turnaround times for its clients. Bel-Mar Wire Products is proud to be a local Chicago business for 45+ years providing the community with local jobs and contributing to Chicago’s economic growth also operating as a woman-owned business. Moderne Beverages believe that choosing a beverage shouldn’t be difficult. 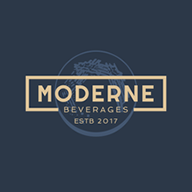 Driven by the lack of clarity and transparency of beverages on grocery store shelves, Moderne Beverages was formed. They strive to craft products with integrity, transparency, nutrition, and knowledge. At the heart of their products are probiotics: microorganisms that benefit from the ingredients in our beverages, and consumers benefit from their presence when ingested in the right amount. The Chicago-based company takes great pride in their ability to show-and-tell all of their steps, ingredients, process aids, and back up their choices with distilled-down info. Moderne Beverages wants customers to be informed to make the best decision for themselves. At Illinois Window Shade Company (IWS) their superior shade systems effectively manage solar heat and glare, providing outstanding levels of comfort, energy efficiency and privacy. Home of the PowerMove® and SmoothMove® solar shade systems, IWS manufactures superior shade systems that effectively manage solar light and heat transmissions. 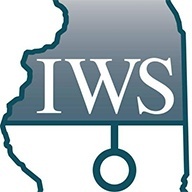 Since 1905, IWS has built a reputation within the architect and design community as a trusted source for custom shade solutions for commercial and residential projects. The company has completed projects all around the Chicago area. Their mission to provide custom solutions for solar control challenges through a simple, efficient customer service process using proven manufacturing processes. E2 Manufacturing Group is a full-service plastic injection molding and contract manufacturing company. They proudly manufacture volume (low/high) production, and prototype parts and assemblies for a wide variety of clients and markets. Since 1998 they've pursued manufacturing perfection with a precise mix of quality, service, delivery and price. E2's 25 years of experience in the molding, tooling, prototyping, and engineering fields guarantee 100% customer satisfaction. Their services include turn key molding, automated assembly solutions, as well as continued dedication to new technologies. E2's goal is to stay on the cutting edge of technology in the manufacturing industry by providing both the finest manufacturing equipment and people in the world. Living Image Solutions, founded in 2016, specializes in customized photo gifts. They can incorporate any photo onto aluminum, canvas, ceramic, fabric, glass, slate, or wood. This allows them to create a unique gift for every individual, as well as provide a range of different options. Their products are designed and produced in Geneva, IL with literally unlimited options. Some of their items include, awards & plaques, baby items, cell phone cases, serving trays, ornaments and more! They provide a huge selection of objects for each individual to personally customize with their own photo. 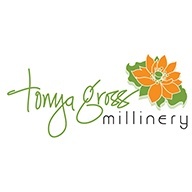 Tonya Gross Millinery designs and manufactures ready-to-wear, couture, and bespoke head wear. The company produces hand-made headwear for men and women using traditional hat making techniques out of Chicago. Tonya creates custom hats for everyday wear and special occasions including weddings, parties, and the Kentucky Derby. All hat projects begin with a private consultation and can be scheduled via email. Tonya Gross Millinery is committed to turning any silhouette a customer desires into a special piece of eye candy. Chicago Metal Supply has over 100 years of combined experience in architectural metal fabrication. Their fabricating shop is equipped with state-of-the-art equipment, which enables them to provide exceptional value and fast turnaround times to customers. They are able to recreate historical copper work utilizing cold mold forming and old world artisan craftsmanship in their facilities. Chicago Metal Supply is equipped to handle a number of projects. Their product line includes Samsung metals, roof vents, downspouts, and more. The company has experience in a variety of work like residential, commercial, and historical work. The website's gallery showcases some of the completed projects. Chicago Metal Supply can meet all architectural metal needs.